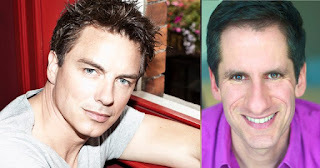 John Barrowman is doing three special concert performances as part of Seth Rudetsky’s Broadway @ Leicester Square Theatre with one show on Friday 13th April and two shows on Saturday 14th April. Star of Doctor Who and Torchwood, with musical theatre credits including La Cage aux Folles, Sunset Boulevard and Miss Saigon, Barrowman is the latest big-name star to appear at Broadway@ Leicester Square which began in 2013 with Patti LuPone and returned last year starring Audra McDonald. Seth Rudetsky will act as host and accompany Barrowman on the piano, performing Broadway hits and offering a behind the scenes glimpse of life.